So-called ‘lifestyle’ materials like lithium, graphite and rare earths are used in technological goods including batteries, smart phones, computers and satellite navigators, and while their value and production is increasing, Australian’s main drivers are dropping. 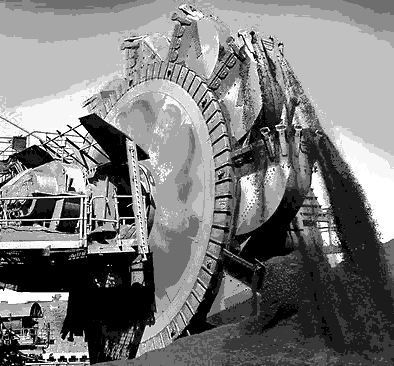 The head of Australian mining industry consultancy PwC, Chris Dodd, says Australian coal, iron ore and base metals are the backbone of the sector, and they will see greater demand for all in three to five years. “When you think what's been driving the mining boom up until now, it's primarily the bulk commodities like steel-driven iron ore and coking coals,” Mr Dodd said. “They've been needed to meet the first stage of economic development when countries are building roads, bridges, and high rise buildings. “The next phase into lifestyle metals is actually when the urbanisation of an economy then starts to happen,” he said. “People want to have air conditioners, people want to have a mobile phone, people want to have a car. “And history would suggest that as people move into those lifestyles, they don't go backwards. He says many of the nations that are buying less Australian iron and coal (like India and China) will begin doing so again when they get into the production of stainless steel, which requires products like coking coal, nickel, cobalt, manganese, chromium, molybdenum, titanium, copper, zinc and other base metals. “There's no question we're in the lull between the conversion of the steel to the lifestyle metals,” Mr Dodd said. “But I think the reason why people are watching so closely where China's economic growth is at, is that's what will drive it. “When we see China go from what's a little bit of a lull at the moment, albeit on the back of pretty strong numbers, we'll know. “Really that next turn around, I think, has to happen in the next three to five years. “But there's so many factors at play; what does the rest of the world demand of China's production? and then there's that urbanisation of three to five hundred million people in China that's really going to drive a lot of it. “India tends to be a little less organised in terms of how predictable its economic growth is. “And I think the urbanisation of its population happens a little more slowly.